For his contributions to theoretical computer science, discrete probability, network science and applications and for service to the profession, Professor Aravind Srinivasan has been named to the 2019 Class of Fellows of the American Mathematical Society (AMS). He is one of sixty-five mathematical scientists from around the world who have been named to this prestigious group. "This year's class of AMS Fellows has been selected from a large and deep pool of superb candidates. It is my pleasure and honor as AMS President to congratulate the new Fellows for their diverse contributions to the mathematical sciences and to the mathematics profession," said AMS President Kenneth A. Ribet. This designation notes Srinivasan’s “outstanding contributions to the creation, exposition, advancement, communication, and utilization of mathematics.” He was nominated by his peers not only for his contributions to the profession, but also to honor his excellence in the field. “Math has been very kind to me. The AMS is an organization that I respect a lot and it is great honor to be named as a fellow,” he said. Srinvasan’s work is grounded in mathematics and algorithms. He is broadly interested in health and infectious diseases, organ exchange, and cancer biology. With Assistant Professor John Dickerson, and graduate students, Srinivasan works on mechanisms for organ exchange including kidney exchanges. His work has also led him to look at data gathered from the last Ebola outbreak to consider the rate at which infectious diseases can spread and ways to contain and ameliorate a disease’s proliferation. He is interested in e-commerce as well as fundamental problems in computer science. “Computer Science and algorithms have so much to contribute [to these areas], and I feel that we can make principled contributions to these areas of research…with collaboration, spectacular results are possible,” he continued. 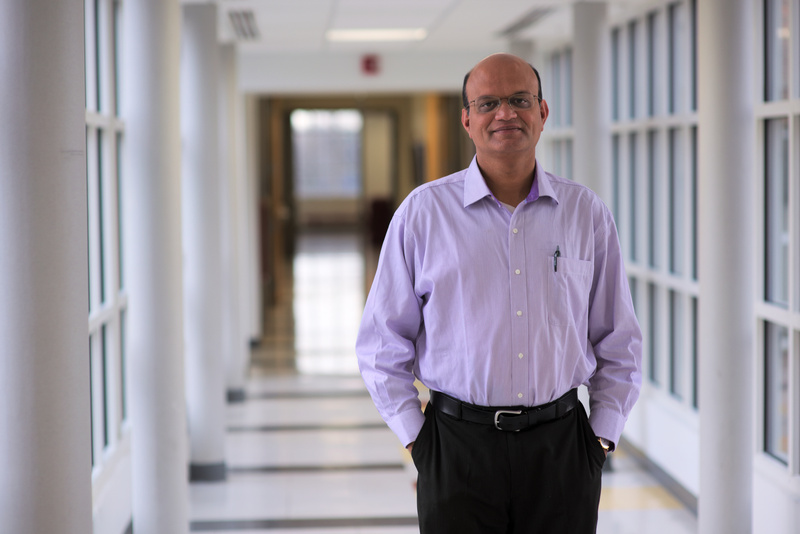 Srinivasan works with a variety of students on research. From high school students, to his undergraduate UMD Honors Gemstone Research team, to graduate students, he is interested in ensuring that the next generation of computer scientists learn how to approach problems in computer science with the same care and brilliance that he does. To see the names of individuals who are in this year's class, their institutions and citations, visit http://www.ams.org/ams-fellows.